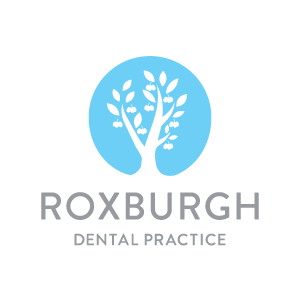 Roxburgh Dental Practice, located in Galashiels, provides dental care for adults and children both under the NHS and privately. In addition to being a family-friendly NHS dentist, we are pleased to offer private alternative treatments including cosmetic braces to straighten adult teeth, tooth whitening, line smoothing treatments and facial fillers. Here at Roxburgh Dental Practice, we are always pleased to welcome new NHS and private dental patients to our practice. Whether you require treatment on the NHS or elective cosmetic solutions as a private patient, we have the experience to treat you to the highest standard. Roxburgh Dental hold an implant clinic that allows our patients to achieve the smile they have always wanted. Unlike denture or bridges, implants are more durable, provide a more permanent fix and are the closest solution to natural teeth, both in appearance and fit. Our Implant Dentist, Duncan Black, is highly experienced in the field of implants and will ensure that you receive the highest quality of care throughout your treatment. To book an appointment with Duncan Black, please contact the practice on 01896 753 424. Kevin is a University of Glasgow graduate and, after a decade of working in general practice in Edinburgh, he joined the practice in the summer of 2009 and is the longest-serving dentist at the practice. Kevin has a particular interest in tooth-coloured fillings, tooth whitening and fixed prosthodontics, including crown and bridge work. Outwith work, Kevin enjoys spending time with his family and walking his dog. Kevin also coaches youth football and plays in his local team. Kevin has lived in the borders for 20 years. Lyndsey graduated from Glasgow University in 1997 and has recently joined Roxburgh Dental Practice. She has worked in Auckland, New Zealand and most recently in Sunderland in the Northeast of England, providing high-quality private dentistry. She has an interest in cosmetic dentistry and finds it very rewarding providing patients with a confident smile. She has returned to Galashiels with her husband and son to be near to her family and friends. Gerhard graduated from Stellonbosch, South Africa in 1996. He has worked in England and Scotland in both NHS and private dental practices. More recently, Gerhard has been practicing dentistry in the Borders since 2010. Alanna, originally from Aberdeen, graduated from the University of Glasgow in 2013. Alanna then worked at an NHS dental practice in Aberdeen for a number of years before relocating to the borders. Alanna has 5 years’ worth of experience working at NHS dental practices, whilst also carrying out numerous private treatments. Alanna enjoyed completing additional studies in working with special care dentists and also spent time volunteering as a dentist in a hospital in Sri Lanka. Alana loves her job and particularly enjoys placing tooth-coloured fillings and feels that her strength is treating children and putting anxious patients at ease. Her favourite aspect of the job is being able to transform smiles. When Alanna is not working, she loves to travel. She also enjoys hill walking, yoga and skiing but most of all, she loves spending time with her friends and family. After graduating in 1999, Adelle has always worked in general practice and before relocating to the Boarders, owned her own large NHS practice for 11 years. Adelle holds a BDS from Glasgow, MJDF RCS (Eng) and a PG Cert in Clinical Implantology. Adelle has also completed a number of courses in complexity restorative, implant and sedation in Manchester, Newcastle and Bristol. Adelle loves every aspect of her job, knowing that she wanted to be a dentist from the age of 5 years old. Adelle especially enjoys caring for anxious patients and children. In her spare time, Adelle loves family life. She is happily married with two beautiful children as well as two dogs. Duncan has nine years’ experience in providing dental implantology in practice. 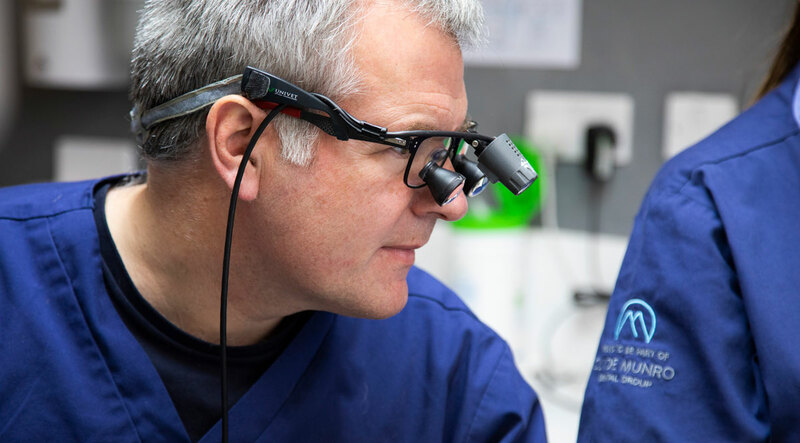 He was the first dentist in the United Kingdom to use the 3 Shape Trios, and Lava LCOS 3D intra oral scanners, in both restoring implants and restorative dentistry, and has an ongoing interest in digital integration in dental practice. Duncan is happy to provide all aspects of dental implantology, bone grafting, sinus lifts and immediate loading, both full arch and single teeth. Duncan received his implant training at the Royal College of Surgeons in England, and also Germany and Italy. He likes to treat patients that are perhaps anxious or apprehensive about dental treatment. A very important aspect in dental implantology is listening to our patients to ensure we provide what they want. Away from work, Duncan can be found either on the golf course, singing in a choir or walking his two Labradors. Blessed with two very musical teenagers, the rest of the time is spent listening to them performing. Kirsty is a fully qualified dental hygienist with 13 years of experience. Kirsty has experience dealing with patients with special needs, and has worked in different practices throughout the Borders, East Lothian & Glasgow. Kirsty also holds a certificate in tooth whitening. Kirsty really enjoys helping patients achieve their best oral health and also helping them to maintain it. Kirsty loves seeing patients happy with their end results. When Kirsty isn’t busy at work, she enjoys digital photography, homeopathy, attending regular CPD events and socialising. Paige obtained her national Diploma in Dental Nursing in February 2013 as well as her PDA in IV Sedation in 2017. She has worked in dentistry for over five years and has worked in both private and NHS dental practices. Paige joined the Roxburgh Team in March 2015 and has learnt a great deal since being with the practice. She enjoys every aspect of her job, but especially loves dealing with anxious patients and keeping everything organised within the practice. Paige recently married her husband Craig and, when she is not in the practice, she enjoys walking, keeping fit, socialising with friends and travelling. Lilianna has worked at the practice for two years as our Receptionist and has great experience in serving customers and patients. She enjoys making a difference to our patients experiences and does her best to make them feel relaxed and happy. When Lilianna is not busy at our reception desk, she enjoys spending time with her husband, reading and going to the cinema. Gillian is our Lead Dental Nurse and completed her NEBDN National Certificate in 2010. Gillian has worked at Roxburgh Dental for nine years where she stared out as a trainee. Gillian enjoys the different variety of the treatment she provides on a daily basis and that no two days are the same. Gillian enjoys working with the public and seeing the results of the cosmetic treatments they provide. When Gillian is not at work, she enjoys socialising with friends and family, reading and going on holiday.